In parts of the midwest, having your senior pictures taken is a rite of passage. It’s a relatively new phenomenon here in northern Virginia. Maybe a few of your friends have had their senior pictures taken and you’ve thought they looked good, but you’re still on the fence whether you want them yourself. Here are 7 great reasons to take the plunge! Of course we would LOVE for you to give us a call for your pictures, but the most important thing is that you capture this time of your life even if you hire someone else to do it. 1. 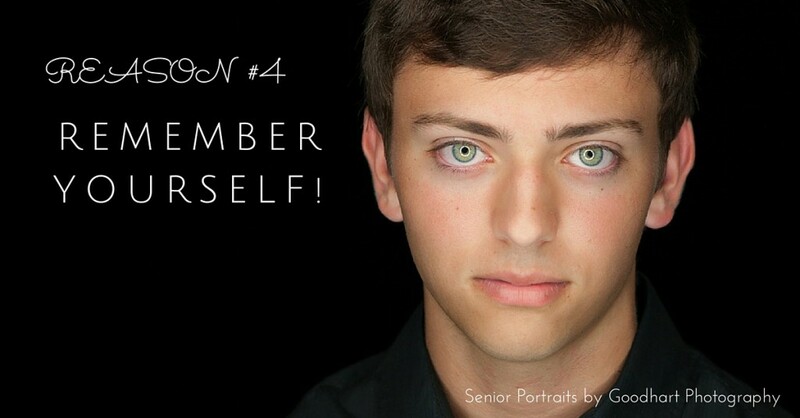 Senior Pictures Celebrate You. Senior year is a turning point, you’re leaving childhood behind and likely leaving home and going off to pursue your dreams. You’ve spent 17 or 18 years getting to this point and becoming the unique and amazing person you are, so this is a perfect time to have some seriously stunning pictures taken of you. 2. Senior Pictures are a Reward. You’ve worked hard to get where you are — 16 years of classes, athletics, and extracurricular activities to be precise. 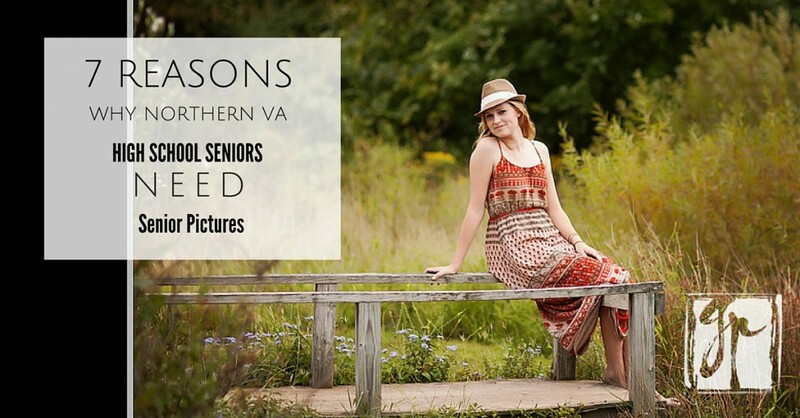 You deserve an amazingly fun senior portrait experience and incredible pictures to showcase how amazing and unique you are. 3. 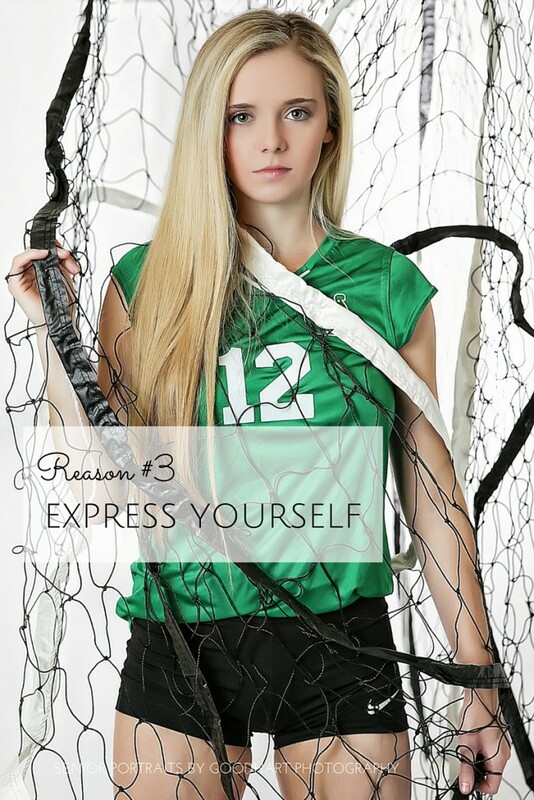 Senior Pictures Express Who You Are. No one else has lived your story, or seen the world through your point of view. Who are you? You are a unique, multifaceted person. So why not bring a variety of outfits and props to showcase the different sides of your personality and the many activities you love? 4. Senior Pictures Capture the Memories. This is a wonderful time of your life! Senior year, with so many possibilities and paths laid out before you. It is crazy though, how quickly the present becomes the past. One day you’ll be 25, and then 40, and even older. A gorgeous, artistic portrait of yourself will become a treasured heirloom before you know it. Don’t let some cellphone selfie be the best record of this time in your life. Freeze this moment forever with a beautiful portrait. 5. 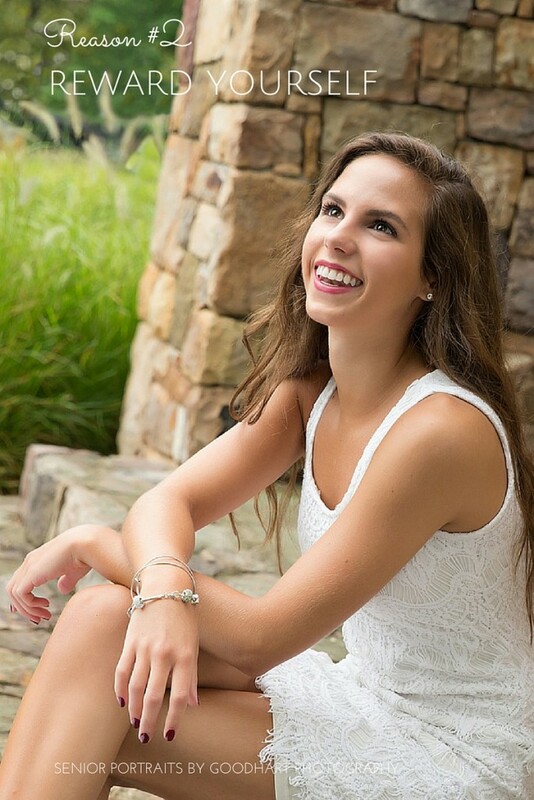 Senior Pictures Show Off Your Best Side. Professional photography can help you look your best, whether you are a natural wash-and-go beauty or a glam girl who wants the full portrait experience with professional hair and makeup. Whatever your style, we know how to light and pose you to get gorgeous shots you’ll love. 6. Senior Pictures make great gifts. We sell a variety of products that would make excellent gifts, from albums to prints to wall art. You can also purchase digital files so that you can make your own unique gifts as well. 7. Senior Pictures are fun! We will have a wonderful time on your shoot, guaranteed! 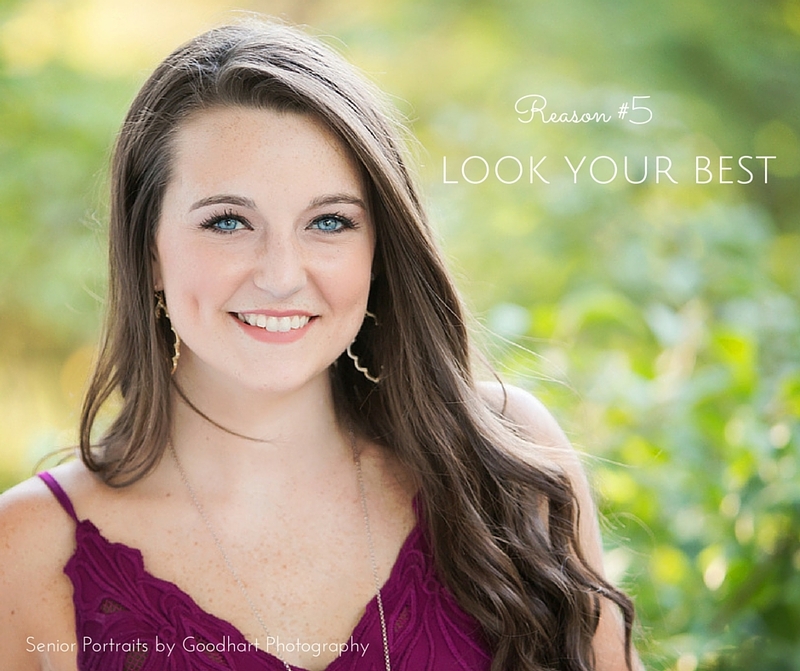 You will look and feel beautiful! 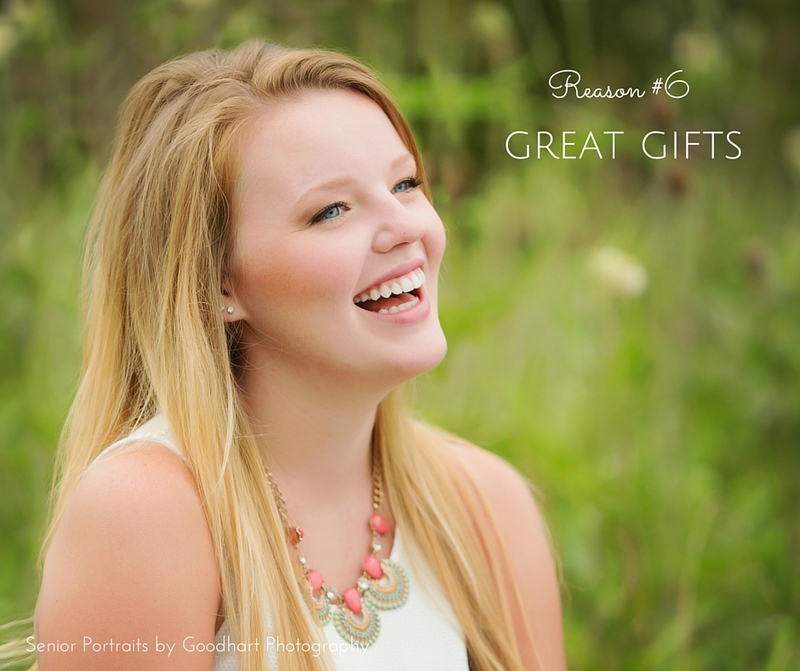 What does Goodhart Photography offer? We offer several different types of sessions for senior pictures ranging from our affordable, all-inclusive “Senior Simplicity” sessions which provide a quick and easy portrait experience, to our comprehensive, custom “Ultimate Senior Experience” sessions which include professional hair, makeup, studio portraits and on-location portraits. Coupon if you book your session on a weekday! $35 off of “Senior Simplicity” or $75 credit towards your order if you book your session on a weekday! Valid April and May 2017. Just mention “Spring Special” when you book. For more information, or to book your session you can call 571 – 480-1196, email goodhartphotography @ gmail.com, or use the contact button below.